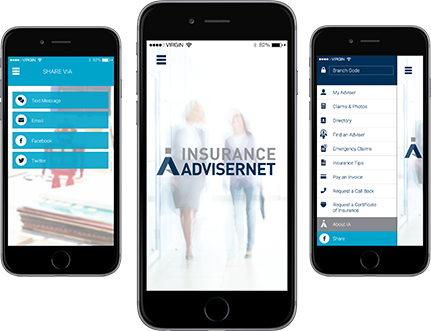 Targeted Insurance Solutions is an Authorised Representative of Insurance Advisernet, one of Australasia's biggest General Insurance Brokers. We have over 20 years insurance experience and knowledge of the insurance industry which allows us to specialise in risk advice, claims management, insurance advice, risk services and business valuations. Our clients are located Australia wide and our experience in dealing with a broad customer base enables us to provide our clients with access to every major insurer in Australia and New Zealand including access to major insurers overseas, if required. We believe in delivering the most appropriate advice, the most efficient systems and the right insurance solutions for our clients, all built upon four core business pillars Trust, Advice, Choice and Value. Kellie is a qualified general insurance adviser for Insurance Advisernet Australia. She is the business owner and operator of Targeted Insurance Solutions and has 20 years’ experience in the insurance and financial services industry. With a career background as an Operations Manager for a large international insurer, a senior role as a Claims Manager and then as an Insurance Underwriter. Her extensive insurance career allows her to fully understand all aspects of the Insurance Industry and therefore she prides herself on using her knowledge to not just sell insurance but also provide risk management solutions to existing and new clients. Clients prefer to use Kellie because she regularly communicates with them, provides after hours’ service and assists with their claims management. Our vision is to maintain a local presence whilst being able to tap into a national buying group for products and services needed buy our customers in today’s complex business world. Targeted Insurance Solutions is a Corporate Authorised Representative of Insurance Advisernet (IA) founded in 1996. IA are a national organisation in both Australia and New Zealand and this allows Targeted Insurance Solutions the benefit of maintaining their local presence whilst being able to be part of a national group for products and services needed by their customers in todays complex business world. Thank you for contacting Targeted Insurance Solutions! Your message has been sent successfully. One of our skilled Advisers will be in touch with you shortly. We are a long term client and I have found that Kellie always finds the best insurance solutions for us, she presents us with multiple packages to choose from and gives very sound advice to help us make the decisions. Over the years we have had some very worrying occurrences indeed with insurance issues, the first call I make is to Kellie. Kellie's very professional approach immediately settles the situation and she takes over, leaving no stone unturned, for that alone, we would be hard pressed to have anyone better on the team. Kellie looks after all of our insurance needs, right through to vehicles and Workers Compensation and we would have absolutely no hesitation in recommending her to any prospective client. When it comes to insurance our company needs a broker that will find the best product that matches our needs and budget, within the current market conditions. Kellie Terry from Insurance Advisernet has been handling our insurance need for the last 5 years and she does all this and more, making our annual review process that much easier. Her friendly and personal service is second to none, and their skill set and expertise instills confidence that we are getting the best deal. Forklogic is customer focused company that has varying aspects to our business which requires tailored insurance to suit our needs. Kellie/Targeted Insurance quickly understood our business and went straight to work on presenting the most fitting insurance options for us. Our time is best spent on doing we are good at (looking after our customers!). Trusting Kellie/Targeted Insurance with our insurance needs over the last 9 years, not only do we save time by relying on her sourcing our insurance, we have peace of mind with the most optimum cover available. Targeted Insurance Solutions is a corporate authorised representative of insurance AdviserNet Australia Pty Limited. Corporate authorised representative number 441426.